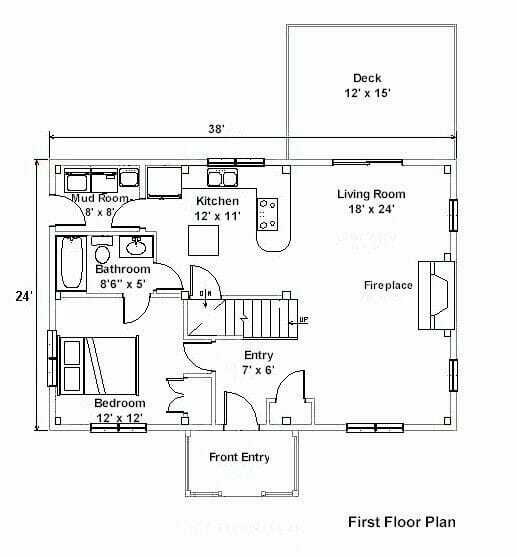 Welcome to our Floor Plans Page. The home designs on this page feature open floor plans that are ideal for both everyday living and entertaining. Open layouts maximize space because the kitchen, living, and dining area are exposed to each other, often with the kitchen serving as an anchor and purposeful living center. Timber ceiling beams add character and are attractively prominent in open floor plan homes. 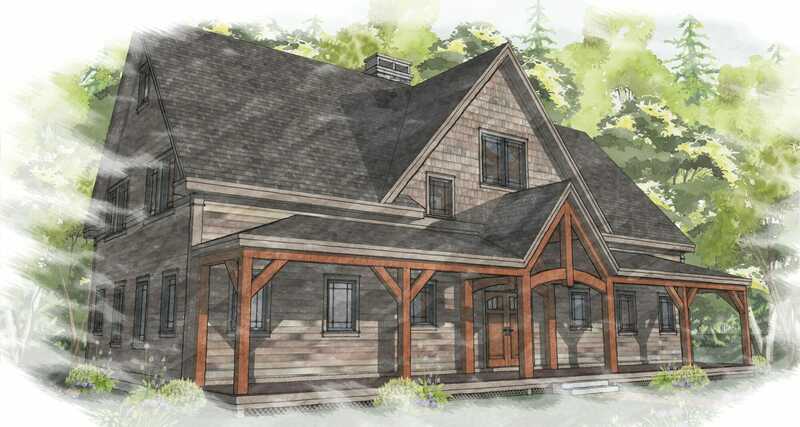 The first three home plans below are designed by Bonin Architects and are available to be built with custom Vermont Timber Works hand crafted timber frames. Vermont Timber Works and Bonin Architects have worked together on multiple home construction projects, and have found a winning partnership in each other. The professionals at Bonin Architects have an unparalleled prowess for designing beautiful homes to be constructed using timber framing. 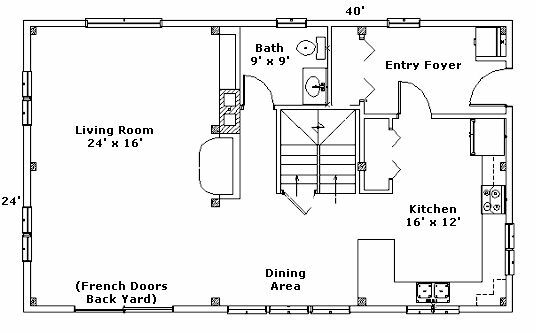 The lower floor plans are classics that we built years ago as Friant & Kelleher Builders. 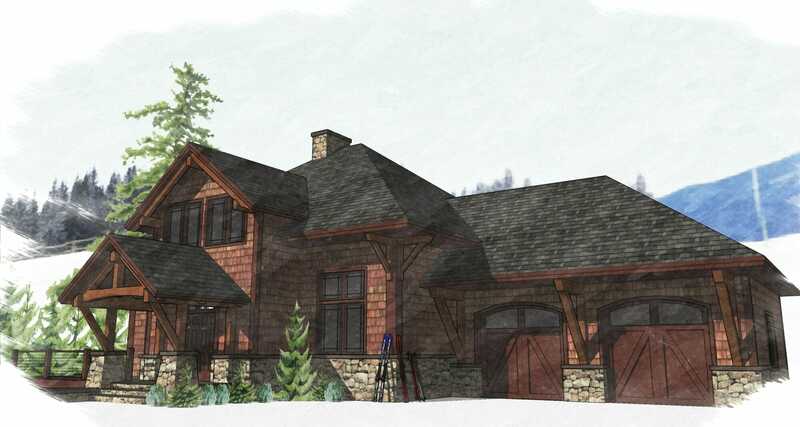 Please click through the different home designs to see a range of timber frame home plans that are all customizable to the particular needs and desires of every individual client. Call us at (802)886-1917 or contact us online today. Be sure to get in touch with Bonin Architects as well (603)504-6009. 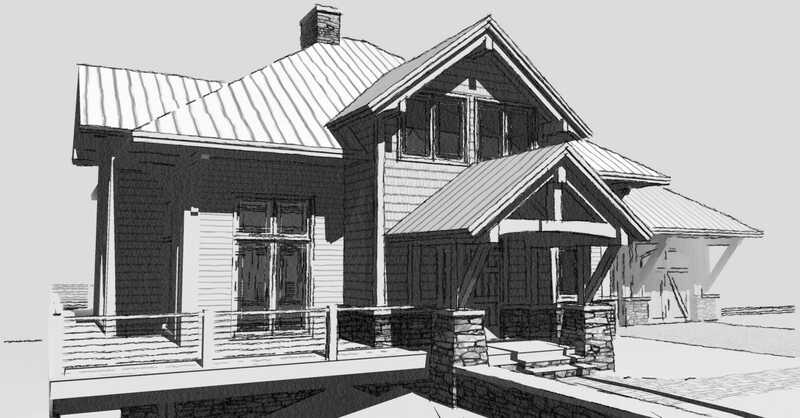 We want to hear about the timber framing project you’ve been dreaming of!